What makes fly fishing so mysterious yet so alluring? Ask a typical fisherman and he will explain that the attraction has little to do with catching trout. In fact, there are much easier methods available. While the catch is certainly part of the game, the appeal is in the pursuit itself. In a world of convenience and instant gratification, fly fishing requires time, patience, skill, and of course, passion. The awe-inspiring natural locations certainly contribute to the appeal as fly-fishermen are literally immersed in nature as they spend hours wading through moving streams of water. What’s more, fly fishermen must study their environment and learn the life-cycles and behaviors of not just the trout, but the aquatic insects that lure the trout. To quote an Irish proverb, “Listen to the sound of the river and you will get a trout.” Simple pastime? Not quite. Although no one really knows when fly fishing began, fly fishermen have been navigating the Cumberland Valley since the 1700’s. Not only is the area home to renowned fly fishermen, like Ed Shenk, but it’s also where you’ll find famous first-class fly-fishing streams, such as Big Spring Creek, Yellow Breeches Creek, and LeTort Spring Run. In fact, Yellow Breeches Creek and LeTort Spring Run are listed as two of the top 50 streams in the world. The Valley’s pristine waters, fertile soil, and rich limestone beds have made the waters just right for a mass of healthy fly hatches, like mayflies and caddisflies. Add to the mixture spring-fed streams, which keep the water at a fairly constant 56 degree temperature year-round, and you have the perfect recipe for fly fishing. Trout season in the Cumberland Valley region opens Saturday, March 31, 2018. 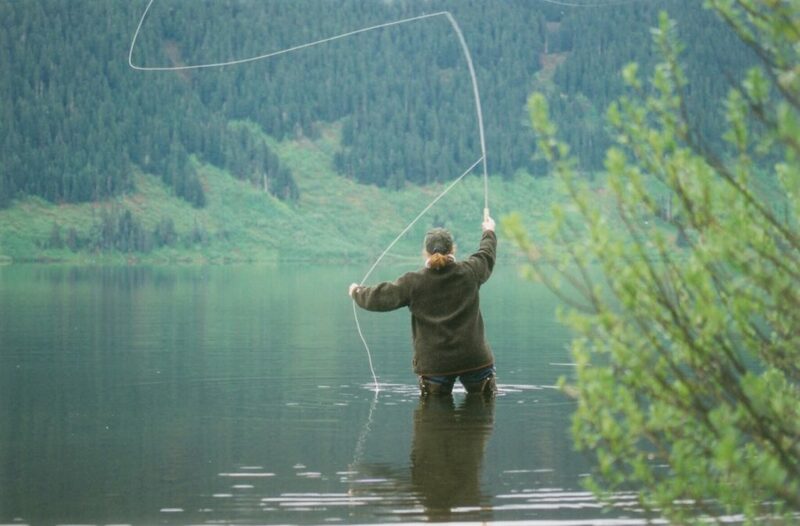 Whether you’re an experienced fly fisherman, an amateur, or a beginner, there’s no better time to enjoy this centuries-old sport. So, plan your getaway today and be sure to book a room with us at The Carlisle House Bed & Breakfast in Carlisle, PA, just two blocks from LeTort Spring Run. Nestled in the heart of the Cumberland Valley, Carlisle is a genuine fly-fishing paradise. During your stay with us, you will enjoy warm hospitality, a comfortable night’s sleep, and a delicious breakfast to start your day. This entry was posted in Attractions and tagged Fishing by admin. Bookmark the permalink. I have been fishing since the age of 7 years old thats when I first start it.& now I am 43 years old. Oh boy am I old or what.Soon I will be needing a walker laughing out loud. Anyway theres only two types of fish I love catching & eating and they are (( trout & crappies )) I dont know why but I just do. When I do my trout & crappie fishing I only use three beats that are out there & they are 97% effective then any other baits that are out there on the markets today + I also catch 98% more trout and crappies with these three baits and they are PAUTZKE salmon eggs, BERKLEY powerbait, and GULP alive 1 inch chartreuse Shad minnows, when I do use these. I dont know what it is about these baits but its like a Feeding Frenzy the trout and the crappies they act like they never had eaten before. they become crazy like seriously. These three baits are kind of like a drug to them. Ever since it came out with these three baits. I had a lot more successful fishing with these more then anything. Some people say they dont work. well they do work they need to have patience when they use them thats all. When I use the gulp alive 1 inch chartreuse Shad minnows I use 6 pound test line and a small jig head and I lightly bounce them or jerk them off the bottom. In about couple minutes I start hitting a lot of crappies or trout with them. Like I said they truly do work but some people out there are not patient enough.